I’m still slowly coming to grips with tofu - something I enjoy eating but am still not a hundred percent sure about cooking with. I rely on the pre-marinated variety for most of my recipes as I find it less intimidating to prepare, but there is absolutely no reason not to use the kind you have to press and drain if you are braver than I am! This recipe is proper comfort food - tasty and warming on cool autumn nights. 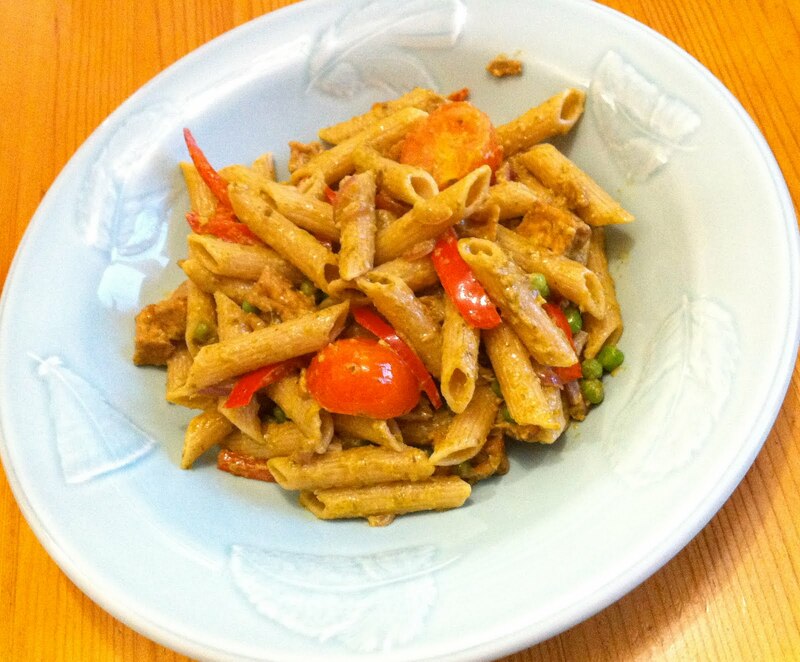 It couldn’t be easier to prepare, and if you use whole wheat pasta it is even more nutritious. Cook the pasta in plenty of boiling, salted water according to package directions. Meanwhile, heat the oil in a frying pan over medium heat. Sauté the onion, red pepper and mushrooms for a couple of minutes until they begin to soften. Stir in the peas, tomatoes, pesto and crème fraîche and warm through. When the pasta is cooked, drain it and return it to the pan. Stir in the tofu pesto mixture and serve in warmed bowls or on warmed plates. Hi! 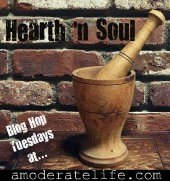 Mmmm... this looks great, perfect for a cold day, I love tofu and have printed your recipe and can't wait to try it! 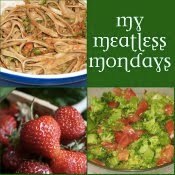 I am gonna also have to check out the meatless monday, thanks for the link!